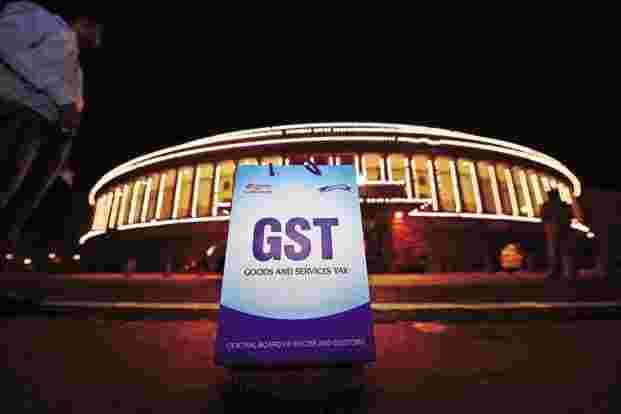 The goods and services tax (GST) was rolled out with a historic and unprecedented unanimous vote in Parliament. But nearly two years later, it is still somewhat of a mixed bag. Its supporters defend it as landmark reform. GST unifies the country into one common economic market, with frictionless boundaries, they say. They also point out how its inbuilt, interlocking incentives between buyers and sellers, and technology ensures that compliance is high and leakage is minimal. On the other hand, the critics of GST while acknowledging its importance, point to its botched implementation. Online invoice matching for every transaction, use of e-way bills, multiple monthly filings, all make things extremely complicated. And there are still too many rates and almost one-third of gross domestic product (GDP) is left out of the tax net, defeating its main purpose. If all goods and services are not covered, then the promised benefits don’t accrue, and there is only pain instead. To its credit, the GST Council has been extremely responsive, having met 33 times in just 18 months to respond to prickly issues. The multiple rate slabs have reduced and most items have converged to the 18% rate. The monthly gross collection is nearing ₹1 trillion as was initially budgeted. There is a revenue buoyancy of 8% year-on-year, which is heartening, although lower than the 14% which was promised to the states as part of the “grand bargain" to get them all on board. The first step is to have only one slab of 12% for all goods and services, except maybe for food and medicines. This was the original proposal, and also the basis for NCAER’s estimates. By including all goods and services, notably petrol, diesel, electricity, tobacco and real estate, it will rectify a glaring flaw in the current implementation. In particular, the inclusion of real estate will go a long way in reducing the incidence of black money and will enable more transparency. The inclusion of all these remaining goods and sectors means a larger tax base that ensures a lower “revenue-neutral rate" (RNR). This is the main reason 12% will be adequate instead of the current 18%. The notorious RNR was the centre of controversy as states jockeyed and debated on what the converged rate must be, and it eventually drifted to a higher 18%. That must come down now to 12%. The second step is to zero rate exports, which is a worldwide practice. The current scheme of exporters paying and then claiming a refund is detrimental to exports. The third important step is to do away with the e-way bill completely. The GST Network (GSTN) provides for matching invoices by suppliers and buyers in their respective returns. If the road transporters are also covered by GST, then triangulating the transaction becomes easy and automatic. This also puts road transport on par with sea, air and rail, all of which require GST registration. This would eliminate vehicle checking, inspection and consequent harassment, and slowing down of road freight movement. The current e-way bill anyway does not provide any additional information that is not already available in the GSTN. Eliminating the e-way bill will greatly reduce the compliance burden. Kelkar, in his lecture, also proposed that 2% of the 12% be carved out for the third tier, i.e. municipalities and village panchayats. This needs a constitutional amendment to Article 266 (to create a consolidated fund for the third tier) and to Articles 243H and 243X to ensure that revenue allocated by central and state finance commissions flows directly into this new fund, beyond the grubby hands of the central or state governments. This is extremely crucial as it links revenues and local public goods provision and expenditure. It also provides much-needed sustainable funding for India’s urbanization. So actually, the reformed GST will be 10% plus 2% earmarked for local bodies. This is the reform agenda to bring GST back to its promised glory.